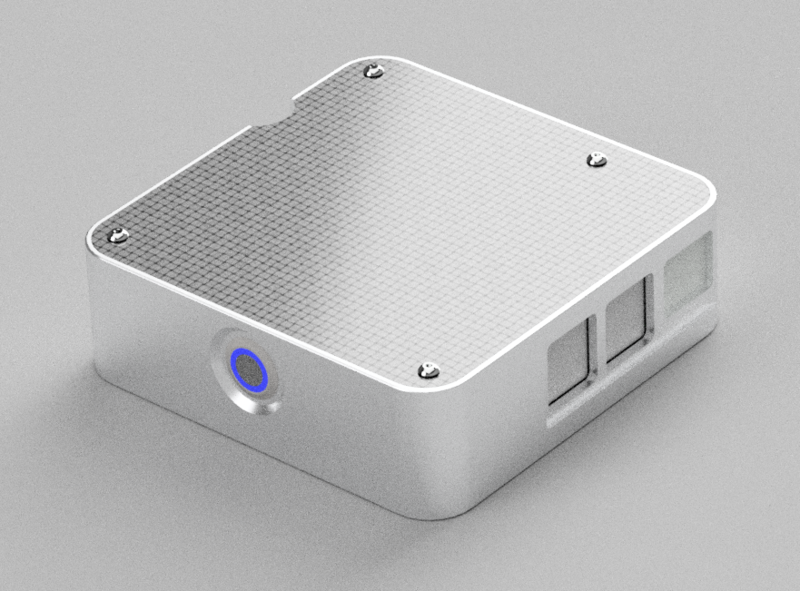 The McPi case is precision Machined from 6061 aluminum and anodized in matte silver. Topped with an aerospace grade carbon fiber bonnet and assembled with stainless fasteners this case has all the technology you need to put your Raspberry Pi in the winner’s circle. Yes this is one awesome looking case but does it perform? Rumor has it the performance of this case is so high even the Stig may not be able to administer it. The actual McPi case, just after being machined! High performance thermal characteristics are provided by the precision machined heat sink risers that touch both the processor and ethernet engine. Think high W/(m⋅K). Ebon Upton eat your heart out. A functional stainless steel power switch serves as both Pi(t) command and a telemetry indicator. The ultra blue indicator ring LED illuminates on power up and turns off with shut down after a brief modification to /boot/config.txt. Don’t let your underpowered pi case get blown off your desk or entertainment center! Our case is wind tunnel tested and leaf blower approved. Is yours? You never know when the next office leaf blower office chair race will commence. Now featuring our proprietary internal *Extra Gravity* technology and low CG optimization. Pi R Squared design provides optimum (CL) and minimum (CD) at 45 degree angles of attack. Optimized for the Pi 3B+ form factor. Older Pis will fit but your mileage may vary. Design cues were provided by the high performance motorsports electronics cases from Techmor. Go check out some of their great motorsports products. Previous post: I have an R-12X Honda Aquatrax, what mods should I do?